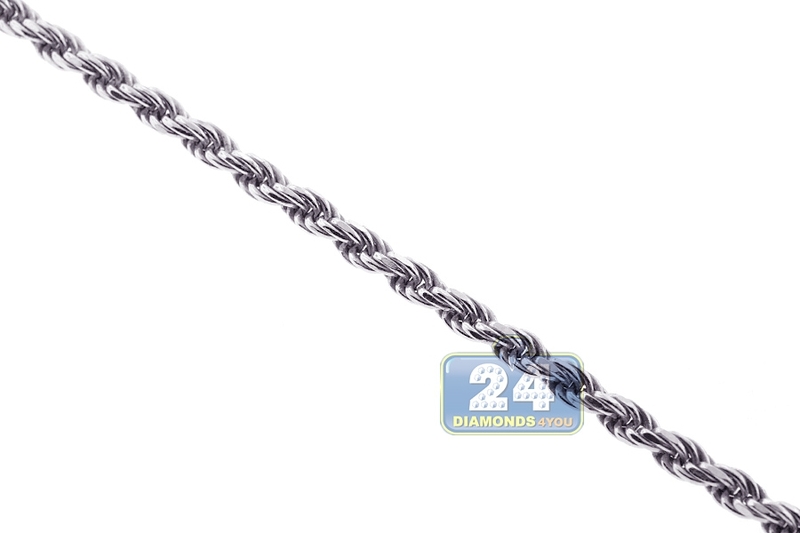 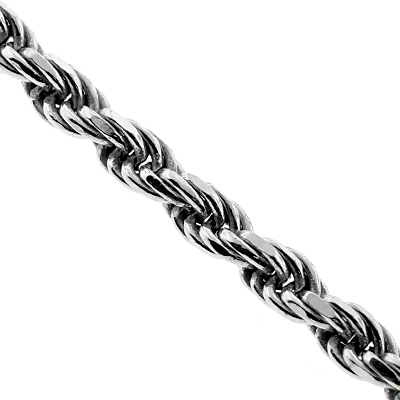 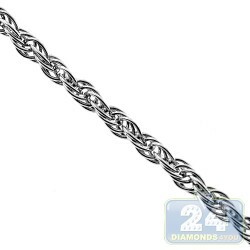 Solid Sterling Silver Womens Rope Chain 1.5 mm 16 18 20 22 24"
Make an unforgettable fashion statement with our solid rope chain! 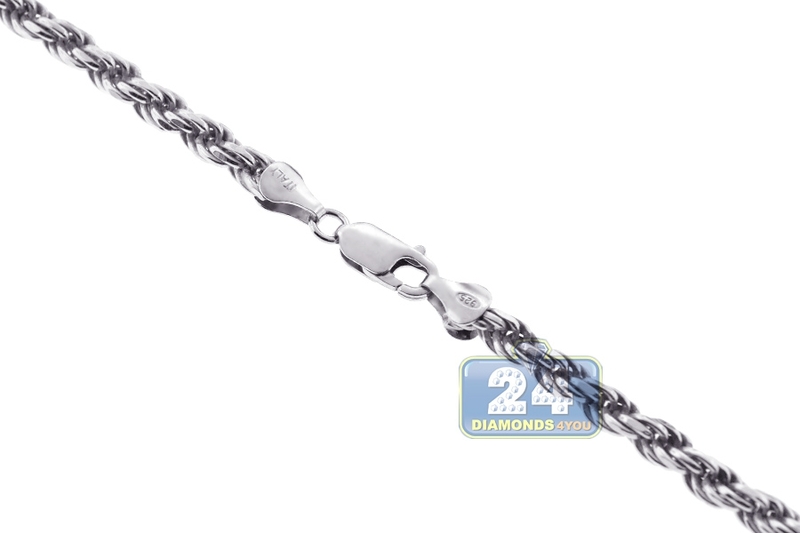 It is beautifully handmade of 925 sterling silver, and covered with white rhodium that helps prevent tarnishing and gives a bright color. 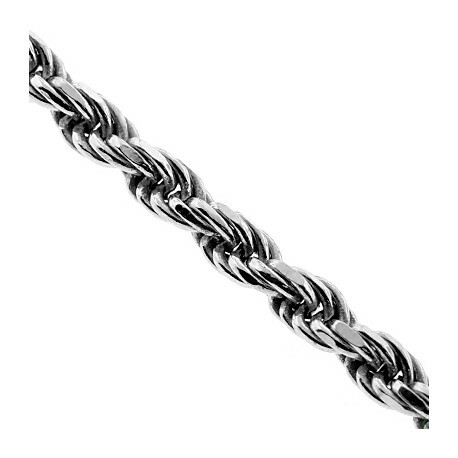 The sterling silver features width of 1.5 mm, and available in length of 16, 18, 20, 22 or 24 inches; and secured by a classic lobster claw clasp. 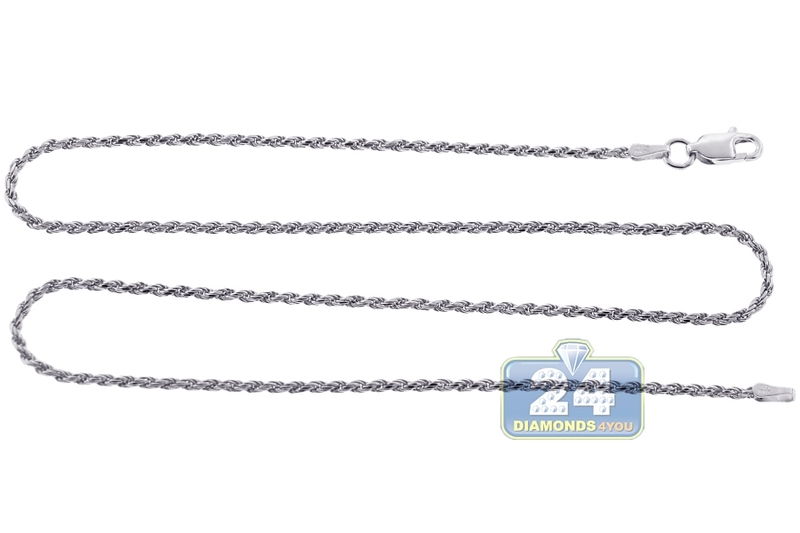 This women's silver chain is a classy addition to chain collection!